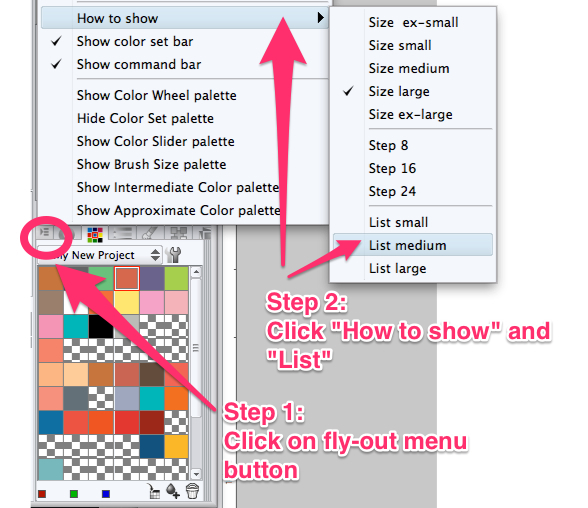 There are two main ways that I use Manga Studio 5's color palette. 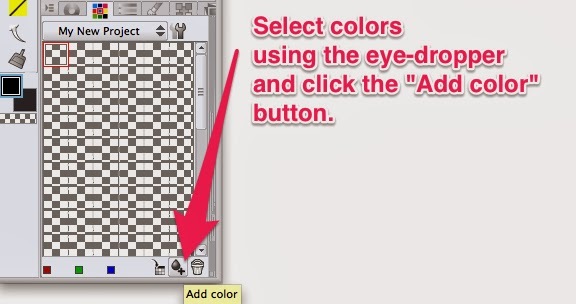 Tip 1 is how I save the color swatches I use in Photoshop and import them into Manga Studio 5. 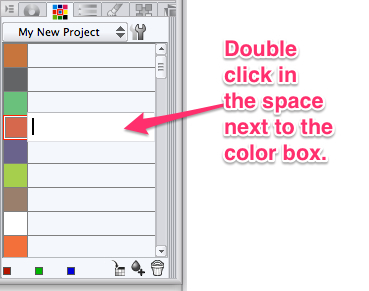 This allows me to go back and forth between the two programs and keep the colors consistent. Tip 2 is about how I like to create new color palette files for each illustration project and save it for future use. 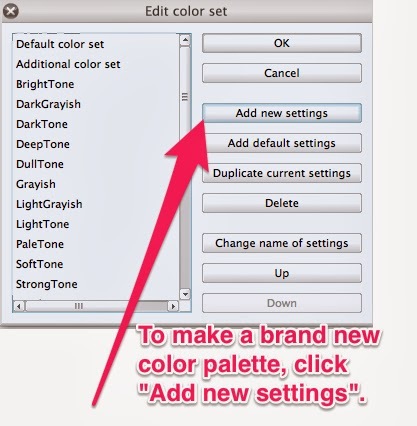 I really like how quick and easy it is to create new palettes. 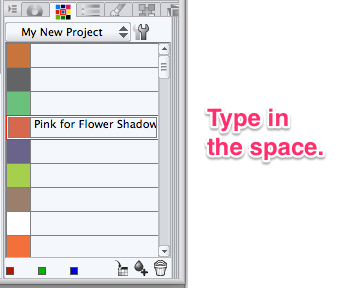 It's also nice that MS5 gives you options to save it as a MS5 file or as a Photoshop swatch file. 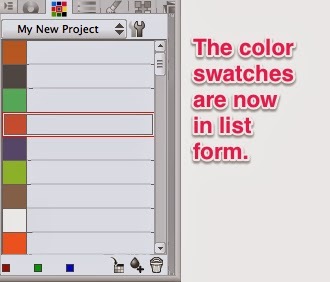 In her latest project, Christina made sure she named her swatches so she could use the correct color throughout her book. 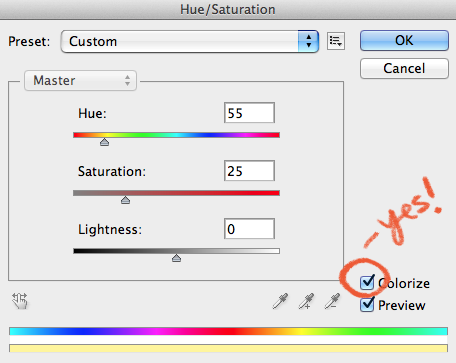 I frequesntly import color swatches that I use in Photoshop into MS5. 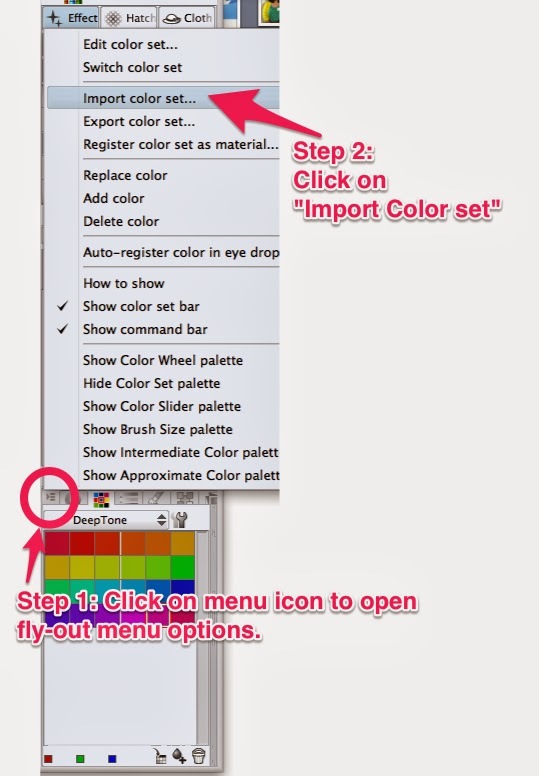 This is really useful when I move my illustration files back and forth from Photoshop to Manga Studio and want to keep the colors consistent. 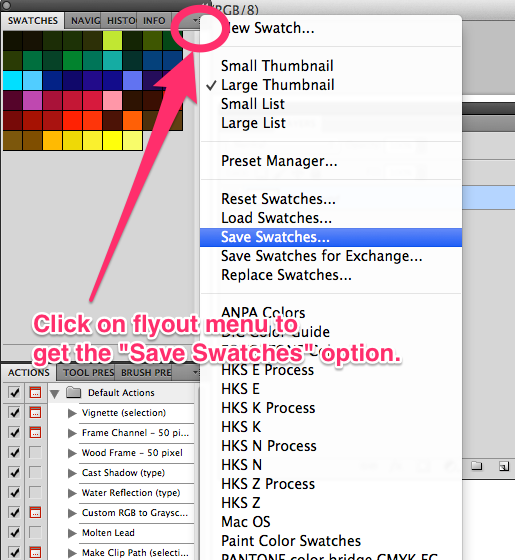 In Photoshop: Save your swatch that you want to use in MS5. 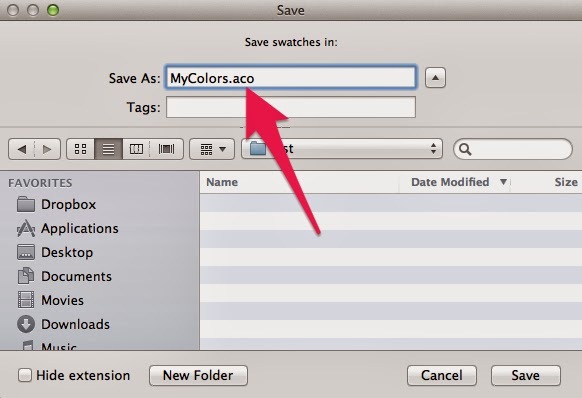 Save the .aco file. 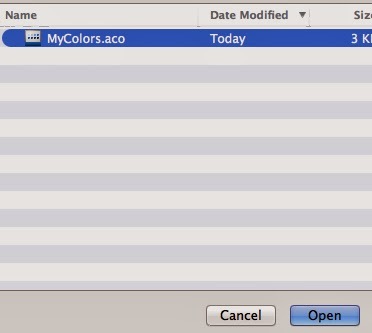 This is Photoshop's color swatch file extension. 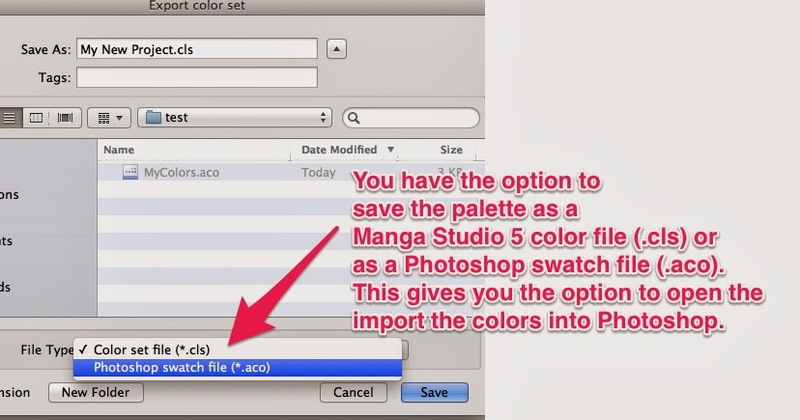 Go to Manga Studio 5: Import the .aco file you just saved. 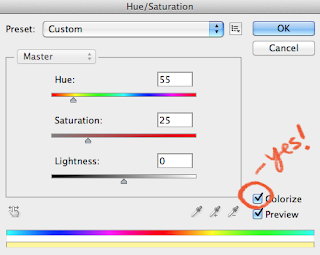 Now you have your Photoshop color swatch in Manga Studio. 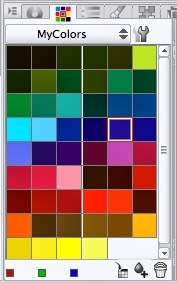 I like to create new color palettes for every illustration project I have and save it in the project folders. 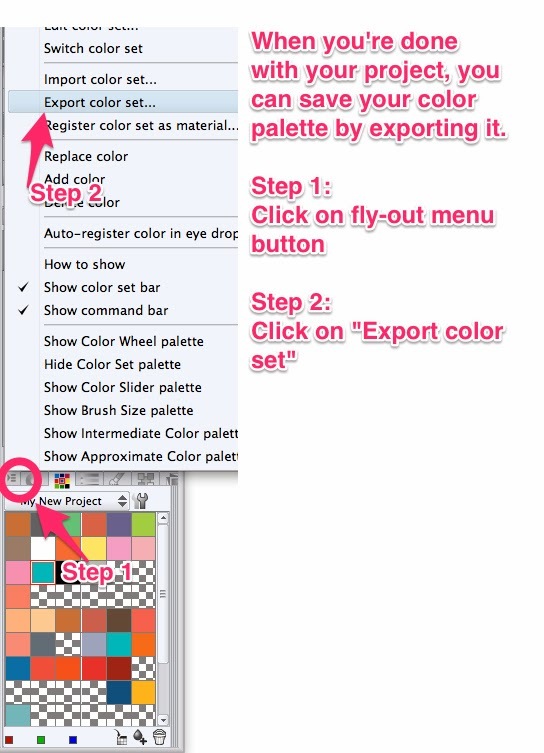 I do this because it's easier to have the palette I use for each project accessible just in case changes are requested to an illustration weeks later. 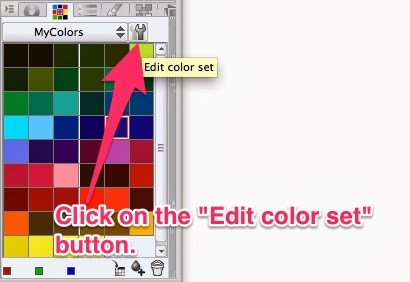 Yes, I know that I can use the color picker but there are so many places where the colors are mixed that I want to know what original color I started with. 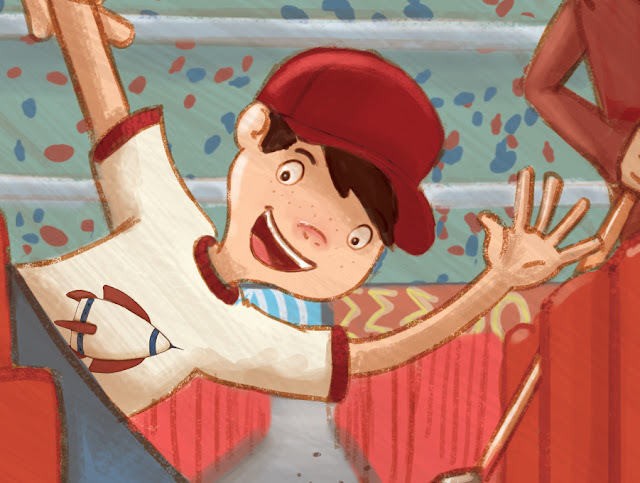 That way I can make sure colors don't gradually shift from the first page of a book illustration to the last. Here's my second video about how I use Manga Studio 5 for digital illustration. It's a bit long and rambly but I talk a more about how I use certain features, a bit about art in general, and a look at how I make custom brushes in MS5. Manga Studio 5 Painting and Custom Brushes demo by Tracy Bishop from Tracy Bishop on Vimeo. 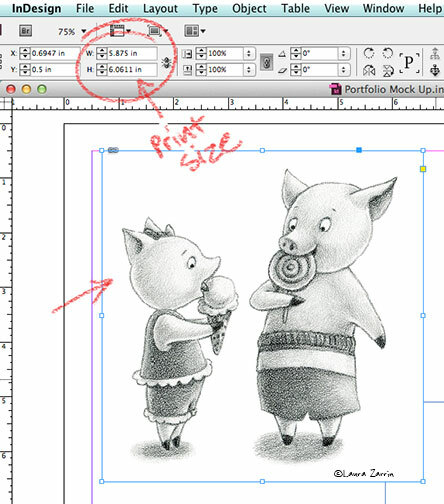 Quick Tour of Manga Studio 5 - Part 1 of my Manga Studio video series. 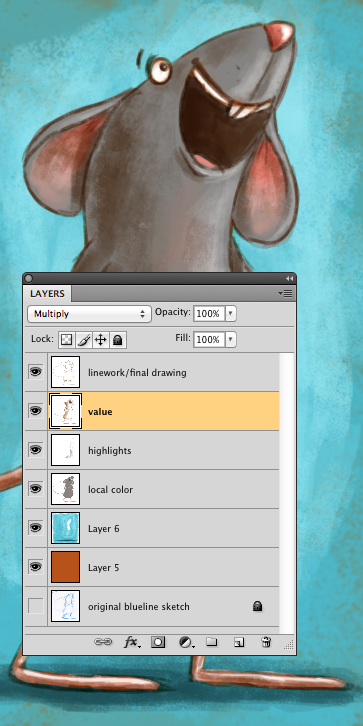 It's a tour of features of Manga Studio 5 that I like. Conference season is in the air, so I thought I'd show you a quick way to plan out your physical portfolio using InDesign and Acrobat. I have to credit Tracy Bishop for this tip. I don't know about you, but I wasted a lot of ink and paper before I figured this method out. Doh! 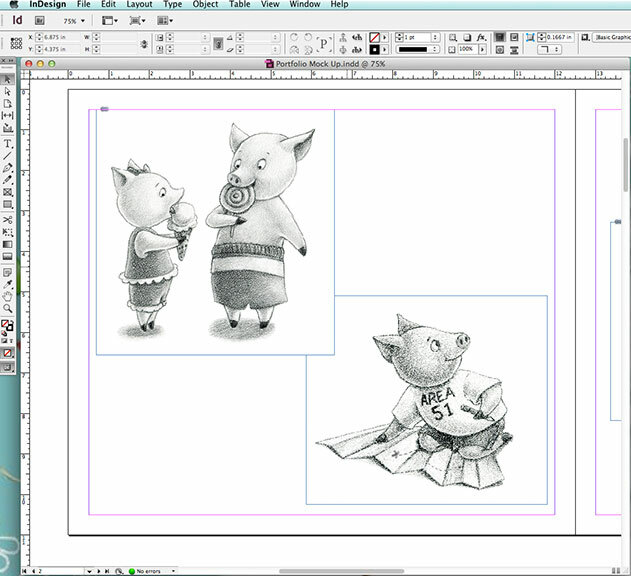 In my last post I showed you how I organize my picture book dummies using InDesign. Planning a portfolio is pretty much the same process. I open a new document in InDesign creating pages the same size as my physical portfolio. For more details, check my last post here. As you can see, I figured out how many pages I wanted and have placed my art already. It's really easy to click and drag the pages in the page menu to rearrange them. I can decide whether to leave blank pages or to group related pictures together. I can also figure out how big each image should be. Once I have the art the size I want, I can click on each image to see what size it is and print it at that size in Photoshop. Easy peasy. 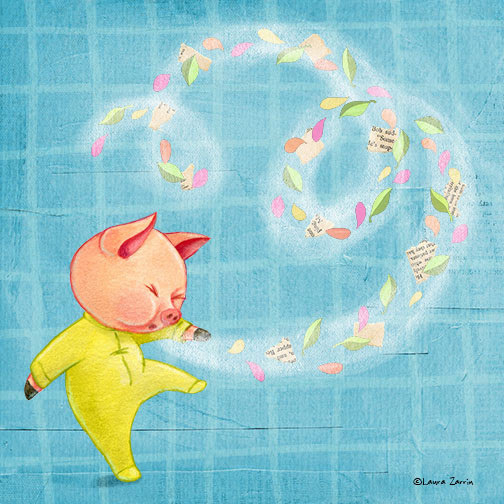 You can also export this as a pdf and load it on your iPad or other tablet. Here's my portfolio (for now). 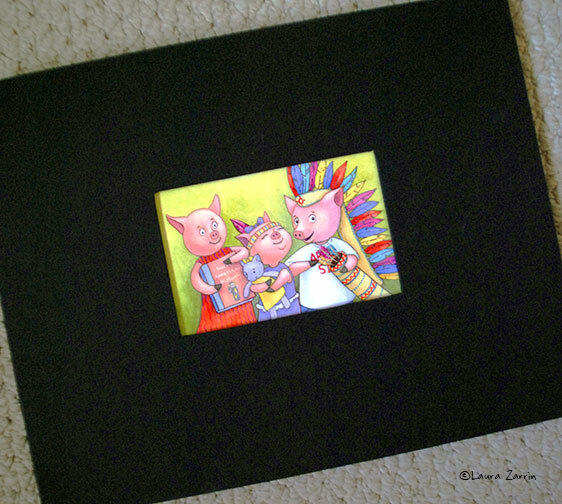 I'm using an 11x14 Kolo album. 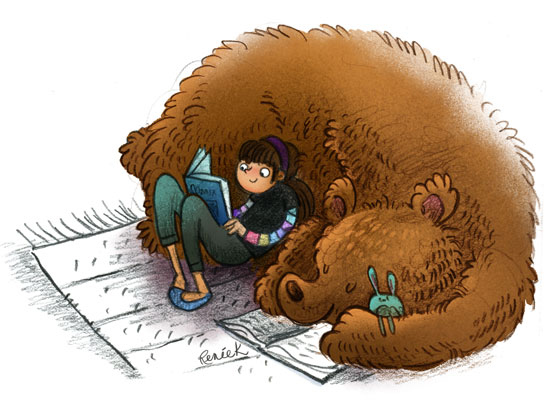 It's an inch too wide for the SCBWI National Conference this summer in Los Angeles, but I wanted my art as big as possible. I'll have to figure out something else soon. 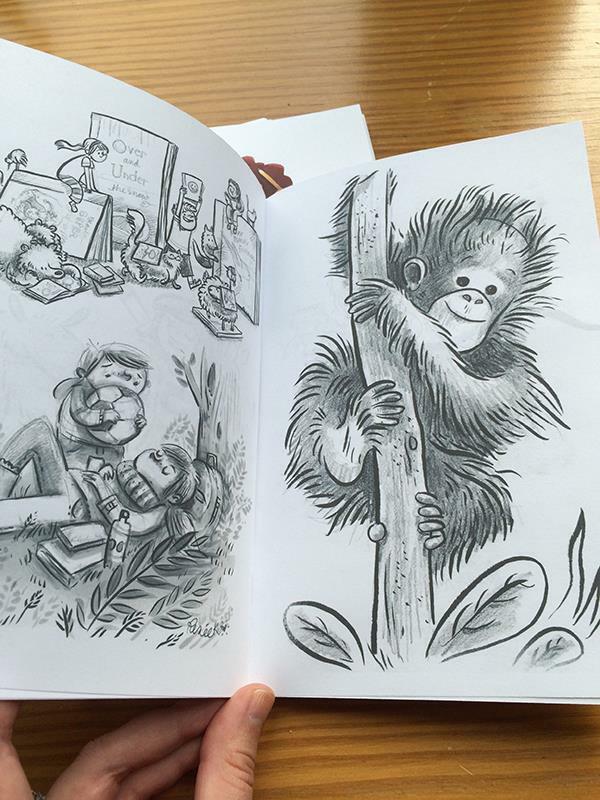 With the Kolo album, you can get pages that you can print directly on. My printer doesn't cooperate, but maybe yours does. 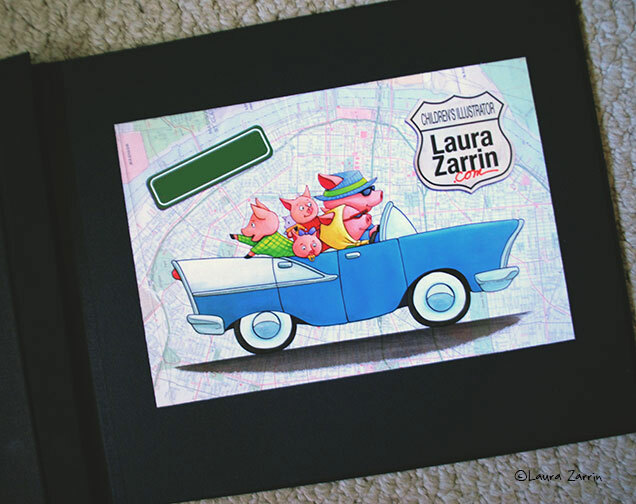 I print my images on Epson Ultra Premium Photo Paper Luster and mount it on the portfolio pages using StudioTac. 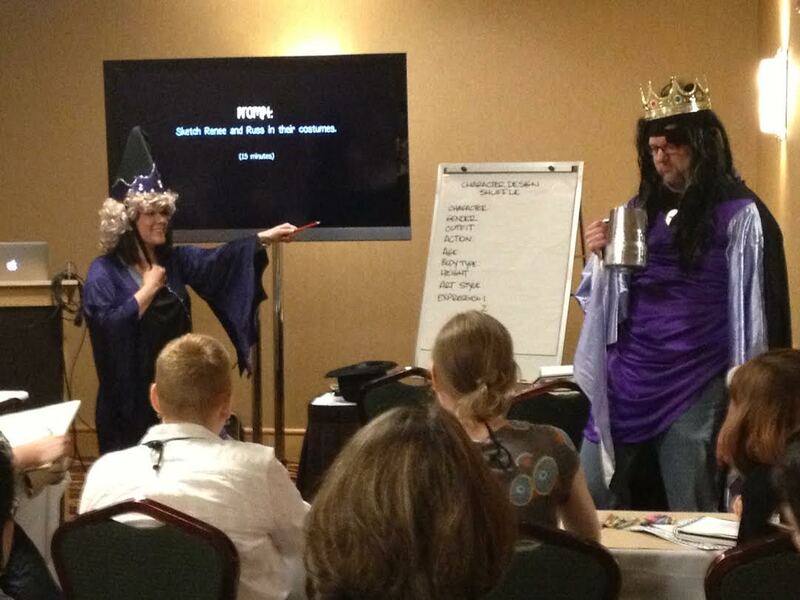 Tracy also introduced me to StudioTac. I use the low tack version so that I am able to reposition things if necessary. It's so easy to use! You just put your image on it, burnish over the image, then adhere it to the page in your portfolio. I wanted my name on the portfolio, so here's what I used as page one. 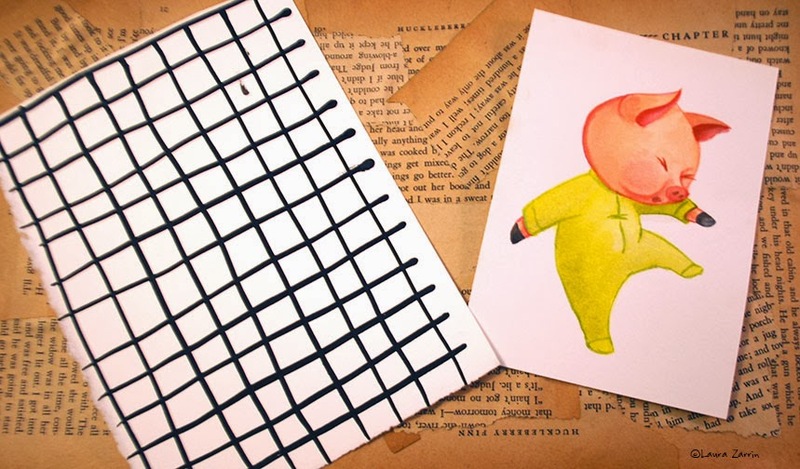 I consulted this post by Molly Idle to figure out the look of my portfolio. 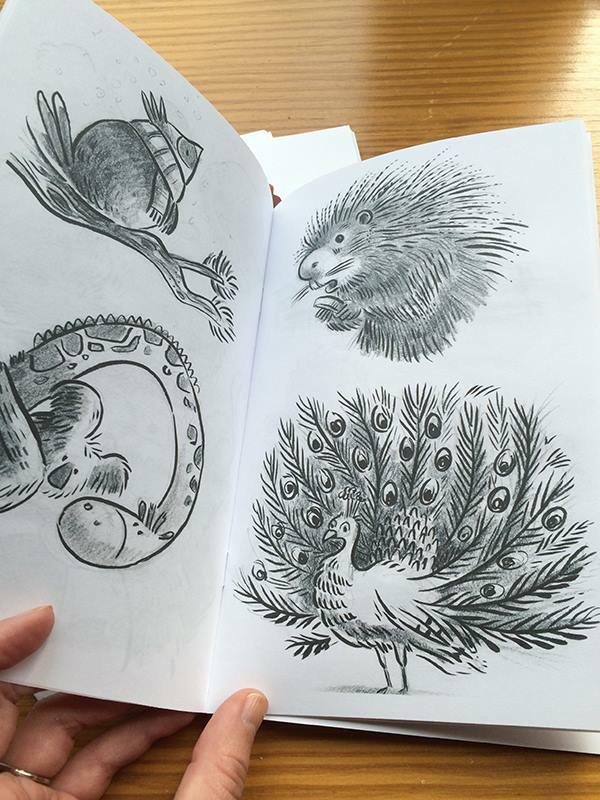 I like that she's creating a portfolio that feels like a real book.